Dani Stewart blog has moved! Because so many of you have reached out to let me know you like what you’ve seen, I decided it was worth it to upgrade and purchase a new home for this blog. I’m basically upgrading from renting to owning. Dani Stewart blog, or Dani’s Blog, is now here http://danisblog.com. In fact, there’s already one post that isn’t here! I hope you’ll come visit my new home and stay a while. You’ll be able to subscribe to my new blog home so you won’t miss any posts, and follow me on social media. Here’s the story I wrote for CNN about coming to terms with being transgender and my transition, along with a video produced by two amazing colleagues. This is the second of two posts about the time coming to terms with being transgender and leading up to my transition. If you haven’t read Part I, click here. The stories we tell ourselves might as well be reality. They’re like movies that play over and over in our heads, and each time the movie plays out, it reinforces itself. My personal movies were ones of hopelessness and danger. Just a couple years ago one of my movies was, if I transitioned I would alienate my family and friends, I would lose my job, become unemployable, I would end up homeless on the street, and would soon thereafter be dead. Transition seemed like such a selfish thing for me to do, to put everyone I loved through the trauma of having to deal with finding out that their child, sibling, parent, friend and coworker was transgender. You see, I had stigmatized that word just as much as anyone ever had. I viewed being transgender as something that needed to be fixed. Despite me knowing she couldn’t, I had hoped my therapist could somehow make me feel better about my current circumstance – that she could magically make it all go away with one piece of psychological trickery. Maybe she could fix me, I remember hoping. What I learned from her, is that being transgender isn’t some sort of disorder or mental illness. Current thinking among medical and psychology fields is that being transgender is a “normal” phenomenon. It’s like having arthritis, or being short and having brown hair. It just is. And the old thinking that nurture was somehow involved, or that you could medicate it away or otherwise cure someone who is transgender, was pure fiction. We don’t completely understand yet what it is that makes people like me feel like we aren’t the gender we were assigned at birth, but we do know it isn’t a disorder, mental disease or anything close. You can’t make it go away, but you can help a person deal with all the things that come with being transgender, like disenfranchisement and discrimination. In some cases, you can prescribe hormones and even perform surgery to help that person become who they were meant to be. A few other things happened along this journey of discovery. About the time I was going through counseling, retired Navy SEAL and transgender woman Kristin Beck’s book and documentary came out, and I devoured both several times. Knowing her story melted away some of my arguments against transitioning. She’s a war hero, for crying out loud! The fact that she went from fighting terrorists for two decades to what she is now, paled my protestations. Of course, it wasn’t easy for her to transition. She actually did lose some things during and after her transition, but what she gained was so much more, and it opened my mind to an alternative ending to my personal movie. I watched the interviews she did for CNN and others, and I eventually reached to to Kristin. What I discovered was someone with a very similar history to my own. We had both joined the Navy, although my naval career was nothing compared to hers. We both had kids and had been married to women. Both of us had tried desperately to compensate for our feelings of femininity by being hyper masculine. Kristin told me that this was common. I found in her, someone for whom I had immense respect, and someone I could relate to. Also during my counseling, Amazon’s award-winning show Transparent debuted. I was blown away by it! The entire show was a reflection of me playing out in a relatable story, and winning awards along the way! Beck’s story and Transparent were two huge trans-related events, and both were lauded. I reached out to Ian Harvie, a transgender actor and comedian who played the part of a transgender man in Transparent. Ian was open and generous with his own story, and that put me at ease. I felt I could be open about mine. He became a dear friend, and I’m incredibly lucky to know him. Along with counseling, both Ian and Kristin proved to me that there wasn’t anything wrong with me. I didn’t need to be fixed. To be sure, I felt completely broken, but I realized it was a feeling, not reality. Psychotherapy and these two amazing people helped me to see my path to transition. I slowly began to calm down and became increasingly more at peace, and more peaceful to be around. When I finally and firmly made the decision to transition around the 2014 holidays, the pressure cooker released its remaining steam. It was no longer the bomb that would have taken casualties. It was vessel that had changed my thinking. It had changed the movies in my head from horror stories to something lovely — from the story of someone tormented, to that of someone happy and finally at peace with herself. This is the second of two posts about the time leading up to my transition. If you haven’t read Part I, click here. This is the first of two posts about the time coming to terms with being transgender and leading up to my transition. Let me take you back two years to early 2014. Two years doesn’t seem like a long time, but so much has changed since then. I had to go back and look at past medical appointments and my calendar to piece a timeline together! I came to CNN in June 2013. I’d been having sleep issues for years. Without medication, I woke several times a night and couldn’t go back to sleep. It was torturous. As a result, I’d been taking Ambien for several years, but wasn’t aware of the long term adverse effects the medication caused. It’s been linked to losses in short term memory and other issues. My doctor thought anxiety was the cause of my sleep issues, so referred me to a psychiatrist. It took a month to get in to see the psychiatrist. She agreed with my primary care doc that it was likely anxiety causing me not to stay asleep at night. She prescribed anti-anxiety medication and referred me to a psychologist. It took another month to get an appointment with her. A lot of people confuse psychiatrist and psychologist, so at the risk of insulting your intelligence, I’ll explain the difference. A psychiatrist is a medical doctor who specializes on the brain, and a psychologist, often called a psychotherapist, typically has a master’s degree or PhD in psychotherapy. A psychiatrist can prescribe medication, whereas people typically see a psychologist for counseling and therapy. During these two months, I began to think about all the things which caused me anxiety. As I’d moved up the ranks of journalism and into management, I’d taken on more and more stress. Coming from local news to a network added to my own pressure to live up to the high bars I set for myself. I’d experienced work conflicts with a few co workers in various newsrooms, and CNN was no exception. I was always wound up tight. Little things easily frustrated me, and it was easy for me to snap at people. More than anything, one theme was constant. The anxiety about my gender. I was always aware of not feeling male, and went through decades of hiding my gender issues so I didn’t have to deal with it. Even though I had told select friends that I wasn’t male inside, I rarely used the word transgender. I had become like a pressure cooker, and I did everything I could to let just enough steam out so that I didn’t really have to come face-to-face with it. In the back of my head was a fear that if I dealt with it at all, a dam would break and I would be an out-of-control cork in a storm at sea. For instance, I shaved my legs very few times over the years, and it was glorious! But each time I did, it was harder and harder to come back to the reality that there was nothing I could do about my gender. I made decisions each time to never allow myself that pleasure again, because it was torture trying to pull myself back to reality. Transgender people call this purging. Some people do it with clothing. They will dress in clothes that more closely resemble who they really are, but then throw them out when they feel they trapped. For many, it happens repeatedly. 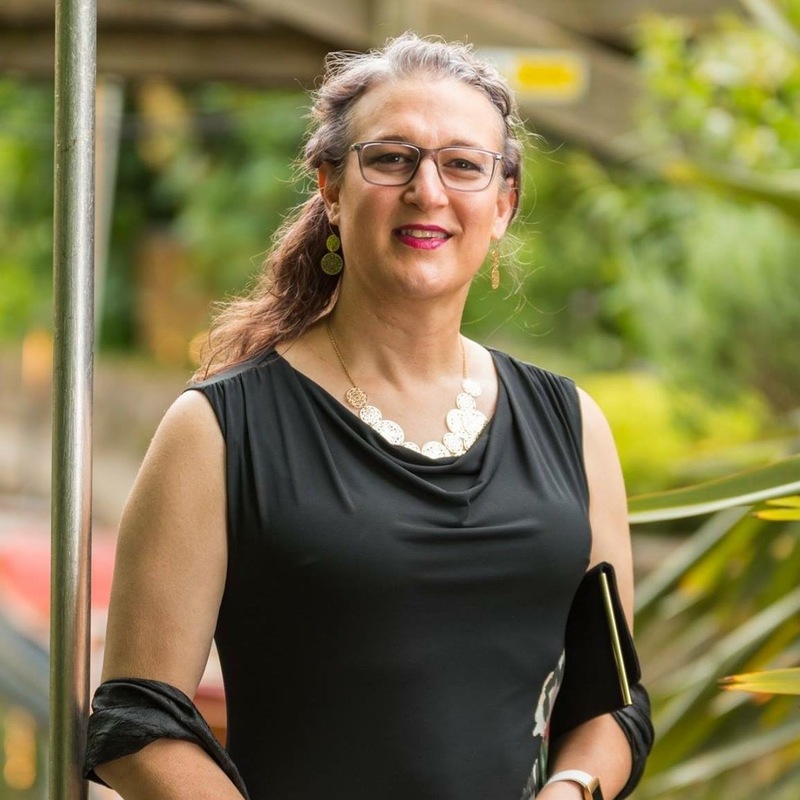 From my early thirties on, I would have transitioned in a heartbeat if there wouldn’t have been consequences, but I could never see a path to where I am right now. When I tell people now, whom I didn’t know then, that I was living miserably, I know they can’t possibly grasp what I mean. I’m so different now. I’m much calmer and happier. So when I was sitting in the waiting room at the psychologist’s office, I had spent weeks going over in my mind what I might say to her. I knew I had to tell her about my gender issues, but I thought that if I could gloss over that part just enough, maybe I wouldn’t have to confront the real reason I was there. I thought I would say something close to, “Being a journalist is stressful! Being at network only increases that; and by the way, I think I’m a girl — but I think the pressure at work is my real problem.” It didn’t happen that way when I was called back to her office. Most of that session is honestly a blur to me. I recall being in there only a short time before the dam burst. Through sobs and sentences that were so fast I’m surprised she was able to keep up, I spilled my guts. Years of not dealing with the one thing in my life that had caused me so much pain, came spilling out like Niagara Falls. I remember her looking down at her notebook and asking, “So…am I seeing you for this or for sleep issues?” I nearly yelled back, “I DON’T KNOW!” I’m sure anyone near her office was probably concerned about her at that point. I don’t remember anything else about our session. I somehow made it through that day and a few more, until I had a second appointment with the psychologist. Each time I went, it was like another small burst of steam was released from the pressure cooker. I was still a mess, but each time I was a little less of a mess than the time before. I began to take my gender issues out of hiding and confront them. My psychologist began to gently challenge the notion that I was trapped. Before counseling, I felt I was too far along in life and no longer had the option of a transition. I had kids and responsibilities, and I would surely lose my job and end up homeless. I know. It’s all a bit overwhelming, isn’t it? It was for me too. It’s a good thing therapy sessions are only an hour! Too much of this would be…well, too much. So, I’ll save the rest for the next entry. Don’t worry. It won’t be too long before I post it. This is the first of two posts about the time leading up to my transition. Why does is bother me so? Has something ever bothered you and you didn’t know why? That’s my current situation. I’m not completely sure I know why this certain thing bothers me, or that it should bother me. If I can’t explain why something bothers me, do I have a reason or right to be bothered? Here’s a better question. Has anyone ever referred to you as the wrong gender? Maybe you’re a man and you’ve been on the phone, but because you have a high voice someone calls you “ma’am” instinctively. For me, it’s the other way around. I’m on the phone a lot at work, and it’s a given that because I have a low voice people assume I’m Danny instead of Dani. I tell myself that their mistake doesn’t mean anything about me. It doesn’t make me any less female. But, I do get a frustrated when it happens, and it happens daily. It’s not their fault. They can’t possibly know if I don’t tell them. It’s a little different, though, when the person should know my gender, like when I’m on the phone with my bank, credit card company, insurance company or doctor’s office. It’s a little harder to swallow the attempt to soothe myself, and that their mistake makes me no less female. I’m really conflicted over when it happens face-to-face with people I know and am around frequently, but I don’t know what it means. Was their mistake out of habit, without thinking; or because their brain and the way they see me hasn’t quite caught up to what’s happening? This is called misgendering — when you use the wrong pronoun. When I came out to my coworkers, friends and family, I told them they would make mistakes. I knew then, that gender is the first thing we recognize about someone else. Even before hands shake and names are exchanged, we make an assumption about another person’s gender. When a child is born, or during an ultrasound, the first thing parents are told is that their baby is a boy or a girl. Knowing that gender is so deeply a part of what we think we know about others, I knew it would take time for those around me to change the way they see me — to change the filter through which they view me and the things I do and say. So when a friend recently used a male pronoun and said, “Thank you, sir,” as I turned to leave, I didn’t flinch or change my stride, and I didn’t correct them. Before I came out, I made a promise myself. I promised I wouldn’t correct family, friends and coworkers when they misgendered me. I didn’t want them to feel as if they had to walk on eggshells around me or worry about making a mistake. I wanted to have normal interactions with people, unencumbered by fear or discomfort. As I continued to walk away, I thought, “I’m presenting so feminine lately, and they still see me as male. When is it going to kick in for other people? Will it kick in?” It happens so often, and I quickly brush away the frustration and hurt feelings by reminding myself, “Their mistake means nothing about who I am inside.” But for the first time, just a minute later, I asked myself why it bothered me so much. I didn’t have an answer. I was aware enough to know that I was bothered, but not aware enough to know why. And because I couldn’t answer the question of why, I wasn’t sure if I even had the right to be bothered. As I got into my car to drive away, I assumed I would come up with the answer before I got home, but I didn’t. I thought I may just need to talk it out with a friend. When one called a couple hours later, I did. I explained what had happened and my thoughts about it, but I still couldn’t figure out why it bothered me. I thought I would surely figure it out if I wrote about it. Maybe it’s because it’s become a big pile of little annoyances, or because I’m still insecure in my femininity. Maybe every woman is, but since most have high voices they don’t get misgendered. Maybe they experience their insecurities in ways I haven’t yet. My friend Mary and I had dinner Saturday. Mary is one of the best sounding boards I have. I can always count on her to tell me things I don’t typically think of. I told her I was thinking about blogging this, but I was afraid that if people I am around all the time read it, they would feel badly or guilty about misgendering me. She said, “Yes, they will — but that doesn’t mean you shouldn’t write about it.” I was puzzled. I didn’t want to hurt anyone’s feelings. I can’t remember Mary’s exact logic or words back to me, but for some reason she didn’t feel that hurting people’s feelings was necessarily a good enough reason not to write about it. I still don’t have an answer to my question. Maybe it’s the death from a thousand paper cuts, or that it will take time to be secure enough in my femininity that being misgendered won’t bother me. Maybe that last one never happens, or it’s something else I haven’t discovered. Whichever it is, it’s part of my experience and that’s what this blog is about — what it’s like to be in my high-heeled boots.